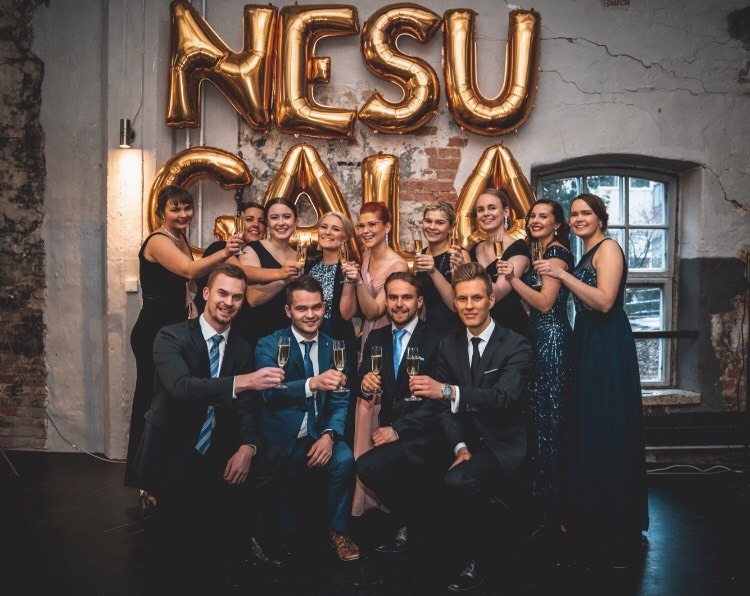 It’s the 26th of April 2018, in the midst of First of May celebrations and I’ve just submitted my application to join the organizing team of NESU Spring Conference 2019 held in Turku. I’m feeling confident about my application and a tiny bit anxious about what is coming up my way. At this point, little do I know about the journey I am about to enter. Our organizing truly started on the fall of 2018. After a summer of relaxation and vacation (stressful summer jobs and boring family retreats) we were ready to get our hands dirty with the upcoming conference week. After the first months of planning and executing those plans, our team slowly but surely grounded into a smoothly operating unit that knew exactly what to do in order to organize a week of a lifetime. Despite our fears, that actually had no grounds whatsoever, the week turned out flawless. On behalf of the organizing team I can say that, at least we, had the time of our lives. Semma ebola was real, though. But we had the time of our lives. Almost a year of preparations all aimed for one, carefully designed week of day and evening programs, company visits, hallway afterparties and before all else, facebook memes as dumb as each other. Personally one of the aspects about attending NESU Conference that I enjoy perhaps the most is the absolute care freedom that comes with the Conference bubble. The week is so full of programs, you simply do not have time to worry about school, work or other life problems. You just live that one week. Go with the flow. Although when organizing a conference, this aspect is essentially reversed, I would not change this experience for anything. Despite the stress and having to worry and take responsibility over everything, I would not give up this experience. That is mainly because of regardless the part-time anxiety the organizing causes, it gives out so much more. This experience that I got to share with the most amazing co-organizers was easily one of the best projects I’ve been a part of and one of the most rewarding and educating group productions of my time in the university and NESU. I talk now directly to all those future Conference organizers of Jyväskylä and all others to come; if you are even slightly kind of maybe perhaps thinking of considering to possibly apply to join the organizing team, do not hesitate to take a chance. I assure you: it will be tough, demanding and stressful. But as these projects often tend to be – oh, so rewarding.